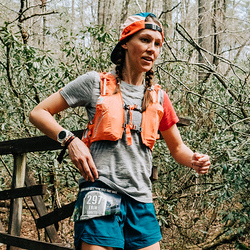 Erin: The Cavu 2 is part of HOKA’s Fly collection, which includes three performance-oriented trainers that are touted as being lighter and more responsive than the typical HOKA (the Clifton, for example). 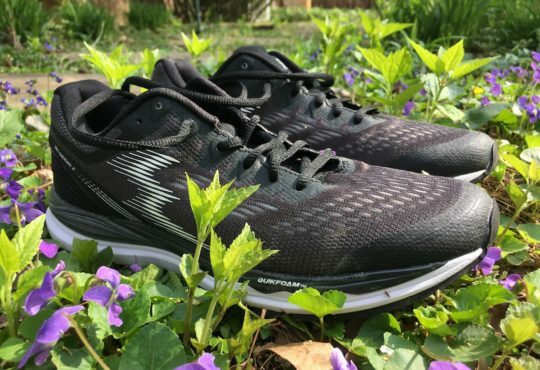 This is my second experience running in a HOKA road shoe, the first being the Tracer, and I’d say that the two shoes are fairly comparable, at least in terms of the ride. West Coat Meghan: I’m all about the lightweight trainer. It’s my jam! 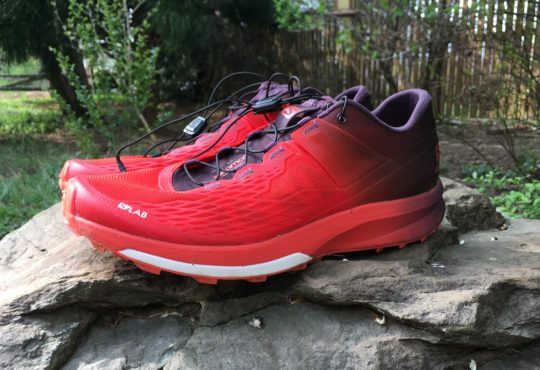 When I opened the box on the Hoka Cavu 2, I was pleasantly surprised to see a sleek, no-nonsense looking shoe, and not the moon boot I was expecting. 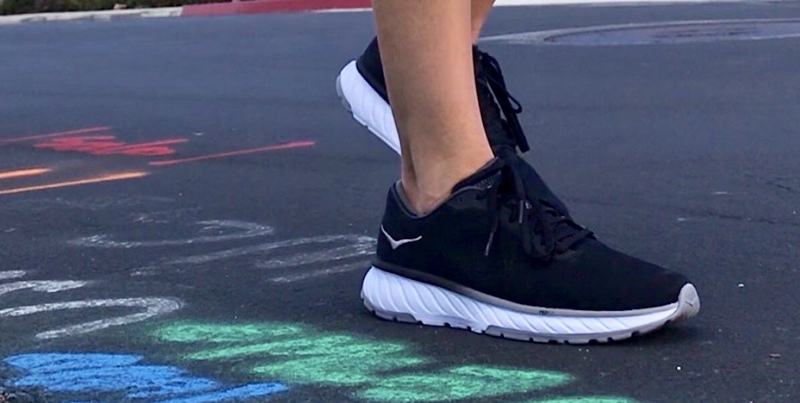 Hoka is known for their chunky, yet pillowy soft, looking shoes. I’ve never been a fan of the look and have thus steered clear of their lineup. That said, I found myself giddy to take the Cavu 2 for a test run. 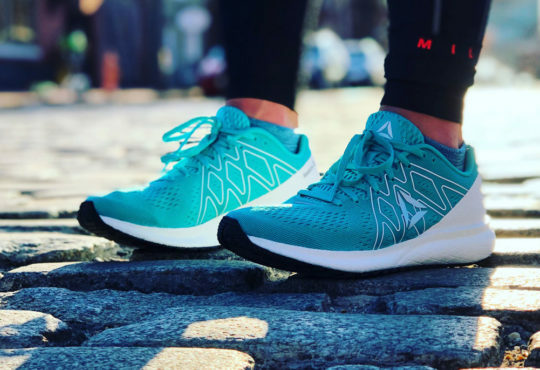 Erin: This is a no-frills, extremely lightweight shoe that is still substantial enough to work as a daily trainer; in other words, it’s my favorite kind of shoe. I’ve finally run my New Balance Beacons into the ground and was close to shelling out for another pair when I received the Cavu 2. Luckily, the Cavu is a great replacement/alternative to the Beacon (still love you though). 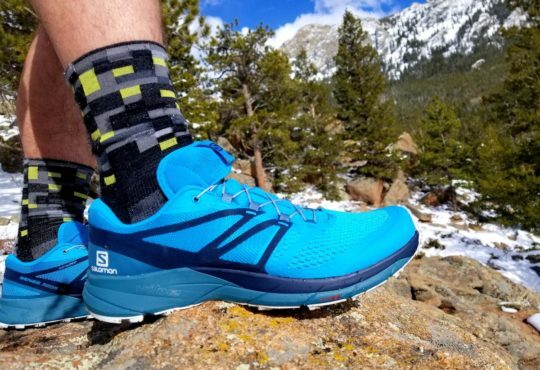 Like the original Cavu, the Cavu 2 midsole is composed of HOKA’s Profly cushioning, which is made to be softer in the heel and firmer in the forefoot to create a more responsive ride. The Cavu 2 has a 5mm drop and weighs 5.8 ounces for my size 8.5 women’s (6.5 men). The upper is a smooth engineered mesh with a thin Lycra bootie lining, which feels really, really nice. The Cavu 2 is snappy, light, and feels and looks good. West Coast Meghan: The simple design. Sadly, that’s really all I’ve got going on this shoe. Nothing speaks to me more than a clean, unflashy look. And all black? Yes, please. Digging deep to find something else commendable… it was definitely light! 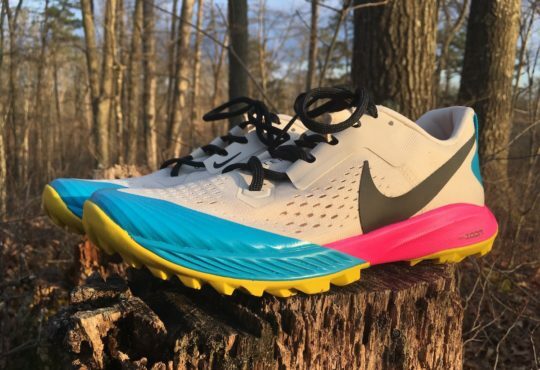 If the shoe works for you, I’d say it would make a great long-distance racing flat. As I broke in the cushion, it felt like enough to withstand the pounding, and the lighter weight would be amazing over the course of many miles. 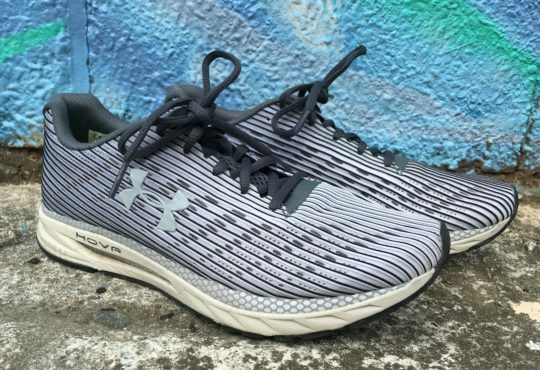 Erin: I’m not sure this has ever happened in the history of my shoe reviewing-ness, but…I don’t think I have anything bad to say about the Cavu 2. They make a sort of hollow sound when my feet hit the ground? That’s the only thing I’ve noticed and it’s not really even bad. But I feel like I have to write something in this space, so there ya go. The website mentions that the Cavu 2 runs a half size large, so I sized down. Even then, I felt like I could have gone a touch smaller. Dropping another half size, however, would likely render the shoe too small. I’ve never had much of a problem with shoe sizing, so it sort of blows my mind that it is so off from every other brand. As I stated above, there wasn’t a lot about this shoe that I liked, which lends itself to a slew of things I didn’t like. I won’t belabor every detail, but give a few lowlights that were non-starters for me. The construction of the upper – everything from the heel collar, heel counter, to the lace eyelets – just feels cheap. That may sound harsh, but I want to liken it to a knockoff version of a running shoe. It seems like the quality of the fabric/material was stripped away to save on weight. This, I believe, contributed to the shoe simply feeling sloppy on my foot. Nothing was holding my foot in the shoe, or on the sole, other than the laces. As I ran, my foot tended to drift around in the shoe, which caused blisters. 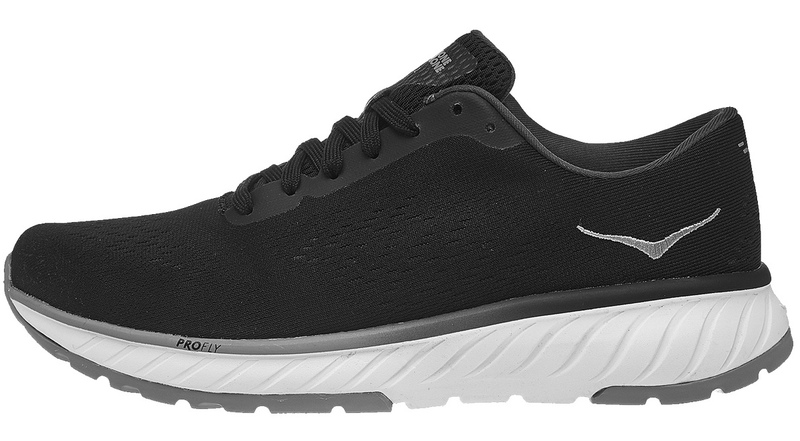 The PROFLY midsole that the website touts as “responsive and durable” actually felt really flat on my first few test runs. There isn’t much bend or flex to the shoe. If you try to bend the toe box up, you’re met with some definite resistance. With that information, it makes sense to me that my foot strike felt flat. I found that the stiffness made it difficult to roll through to a toe-off while running. Instead, each step just felt slappy. I will mention that, after several runs, the Cavu 2 started to feel better. I’m not sure if I was changing my stride to meet the shoe, or if the shoe was becoming more pliable. I’m not against sticking with a shoe to “come around” but I’d rather opt for shoes that are better suited to me right out of the box. Erin: If you’re looking for a neutral, very light daily trainer with a smooth ride, I really don’t think you can go wrong with the Cavu 2. And at $110, they’re fairly reasonable. Get yourself a pair!